14,000 hectolitres of balsamic vinegar and 1,500,000 packs of balsamic vinegar cream in different sizes, exported in 30 Countries around the world, from Northern and Central America to Europe, Southeast Asia, and Oceania. These are the figures realized every year by Acetaia Bellei at Casoni di Ravarino, in the province of Modena. 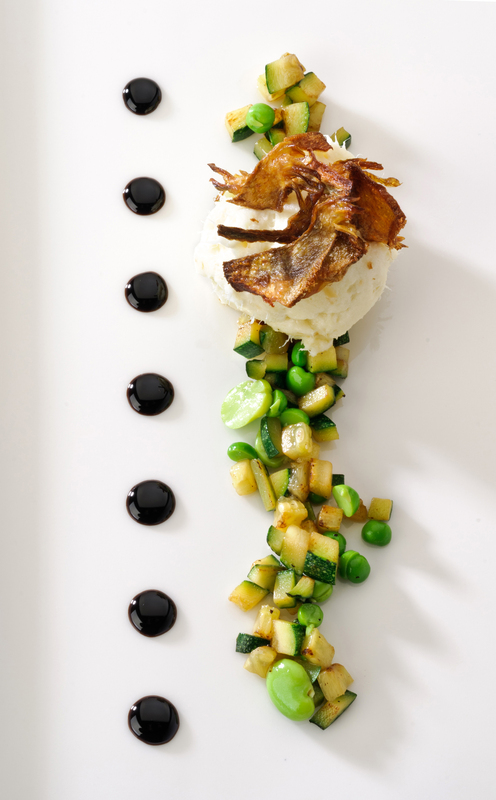 The company, officially founded in 1989, had been active for several years before in the production of the traditional balsamic vinegar and the IGP Modena balsamic vinegar. 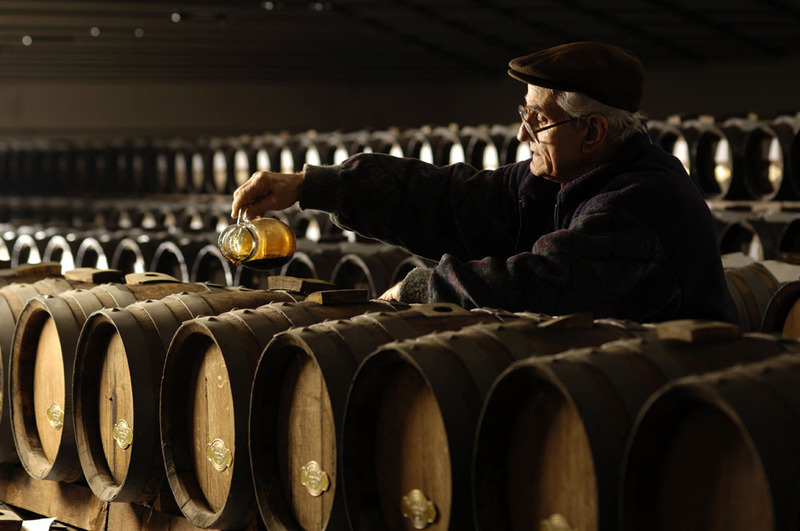 A legacy passed down to Luigi Bellei, the founder, by his mother, through some precious barrels of balsamic vinegar, the oldest of which dates back to 1904. Vinegar by Acetaia Bellei is characterized by a high level quality and result to be very versatile. It goes well with both savoury and sweet flavours, raw as well as cooked foods. Therefore, it is ideal for every course, from appetizers to dessert, and can be adopted in vegan diets, low-calorie regime, or by consumers with celiac disease. The Bell line is composed of three labels: Bell Bronze, Bell Silver, and Bell Gold. The first one is vinegar withadensity of 1.13ideal for seasoning salads and grilled vegetables, while the second one has been designed for vinegars with a density of 1.18, characterized by a penetrating scen twith a harmonious acidity and a well-balanced sweet and sour taste(which results from a more prolonged ageing in barrels). They are suitable for flavouring first courses andgrilled fish. The Bell Gold label, vinegar with a densityof 1.33agedinoak barrelsfor several years,guarantees acharacteristicwell-balanced and harmoniousscent, as well as a very intense bittersweet taste,perfectfor grilled meats,boiled vegetables, ParmigianoReggiano cheese, and in order to accompanyicecreamorstrawberries. 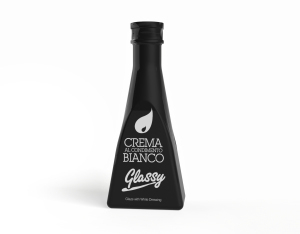 Another flagship of Acetaia Bellei is the line Glassy di Crema all’Aceto Balsamico di Modena IGP. It is characterized by a deep brown colour, created in 2007 by the union of balsamic vinegar and boiled must, thickened with starch. This ready to be used cream, which preserves the balance of the sweet-sour taste, typical of the best balsamic vinegar, enhances the flavour of any course and decorates any dish. It is proposed in the classical flavour as well as in aromatized version with juice and/or natural flavours: lemon (suitable for fish and pies), raspberry (for fruit salads and cakes), rosemary (for grilled meats and vegetables), truffle (for risotto and eggs), fig (combined with cheese), apple (for cheese and sweets), orange (for grilled meat), and with Condimento bianco in order to obtain a clear glaze which does not impact visually on the colours of the courses with which it goes. 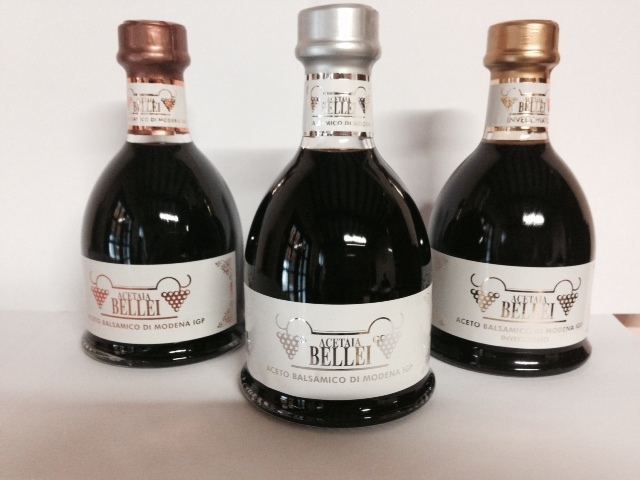 The administrator Mariangela Bellei says: «We are members of the Consortium for the Protection of Modena balsamic vinegar, in order to promote our products and safeguard them from imitations. We serve the Italian market through the supply with private label of the major players in the large-scale retail trade, but our brand, thanks to both BRC and IFC international certifications, is exported all over the world: export represents about 30% of our total turnover. For the future, we will focus on South America and Asia, especially China. Fairness, honesty, consistency, transparency, and professionalism are the values which will continue to drive our business. Our success is certainly based on both high quality of our products and ethics by which we establish our relationships with customers». Bottles for vinegar are made of glass and, especially in the high-end product, are packaged in an artisan way, with satin ribbons, strings, and sealing wax applied by hand. For the aged products a box has been created on purpose in order to further enhances the bottle. The labels for the Bell line are printed with metal foil and the size for all the packs concerning high range is ml 250. For vinegar creams, high-density and recyclable PET bottles are used, which are then sleevered. This process allows 'embracing' completely the bottle, with a higher print quality in comparison with traditional labels.